ATP supplies the wine industry with some of the finest equipment on the market today. 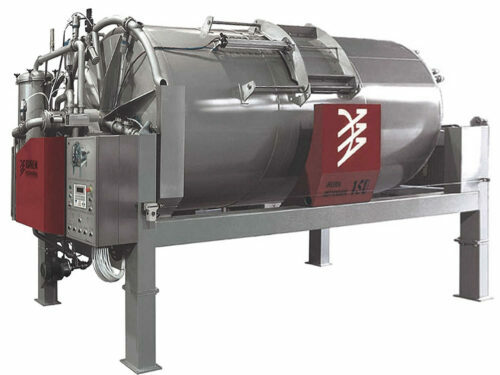 Some of the manufacturers we carry are SPX Seital, the world leader for high-performing technologically advanced centrifuges, TMCI Padovan a manufacturer of sophisticated, innovative wine equipment that can scale from small winery to one of global proportions, C.E. Bartlett from Australia that produces the finest press replacement membranes and Siprem International recognized for making a range of presses and destemmers. This award-winning system is designed for the complete automation of red fermentation and is one of key expansions of the SAEn 5000. C.E. Bartlett Wine Press Membranes are acknowledged as the best after-market press bladder membrane in the wine industry. Bartlett has an excellent reputation as a manufacture of high quality replacement membranes for European presses, where they meet and in most cases, exceed the original manufacturers specifications. 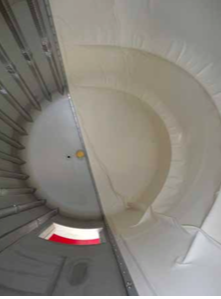 Bartlett’s 50 years of experience in fabric conversion by using only the most technically correct manufacturing methods, ensuring that attention to known stress and wear areas is addressed without compromise to the all-important flexibility of the membrane. The CDR WineLab is a photometric, thermo-stated analyzer with solid-state emitters (LED). It is the ideal solution for fast and accurate lab analysis of wine and juice. 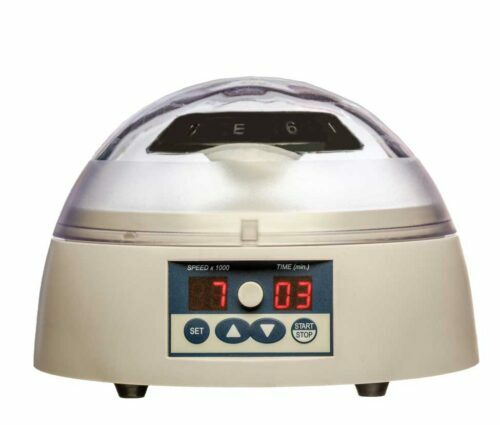 Ideal centrifuge to clean small size samples. The GB BevTec Portable Flotation System is a patented system that streamlines juice and wine clarification and eliminates costly, time consuming cold settling. With the addition of an optional separator tank, the system can run continuously at 8000 gallons per hour with no batch limitations. These kits are pre-calibrated and come ready-to-use. These are pre-vialed, disposable reagents with low toxicity developed by the research laboratories of CDR. 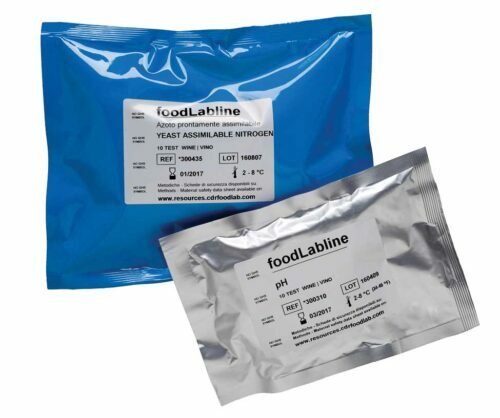 They have a 12 month shelf life and are optimized to be used with the WineLab. The Parsec EVO 1000 CO2 Dosing Unit adjusts carbonic anhydride (CO2) by properly measuring and injecting gas through a sinter, constantly gauging, in real time, the flow of gas. Thus keeping the dosage constant, guaranteeing its accuracy in all circumstances. 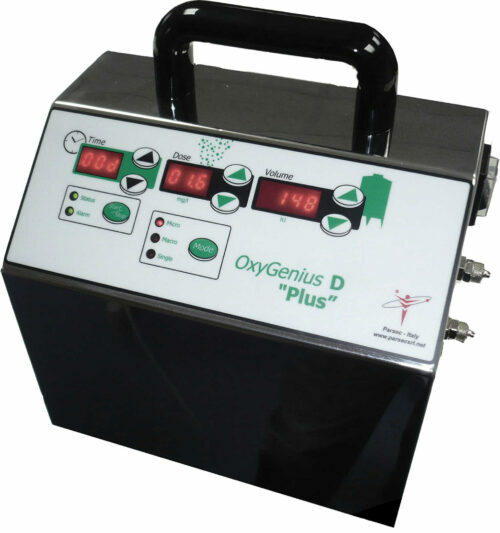 Parsec OxyGenius Plus Portable Unit is easy to use and also ideal for barrel or tanks with a volume range of 10 to 500 hectolitres. It comes with rechargeable battery. 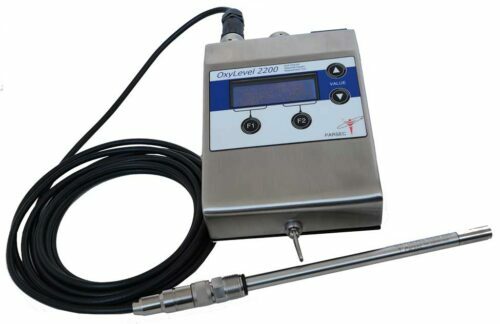 For measuring dissolved oxygen, the OxyLevel 2200 is the most advanced device of its kind. 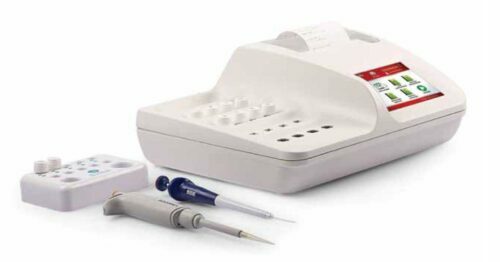 It allows precise measurements and strictly adheres to all food standards. Using inline measurement and an alarm, oxygen contamination can be detected anywhere in your production line. 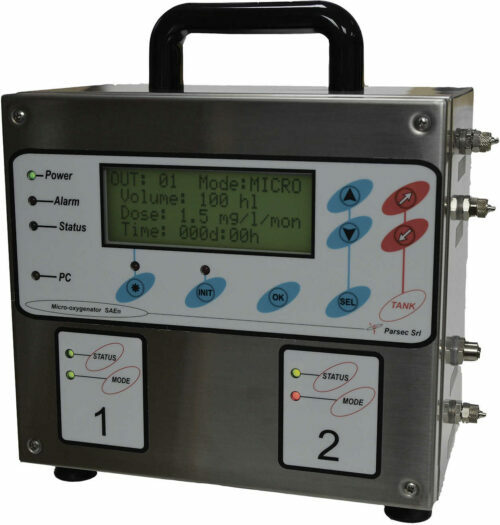 The Parsec SAEn 4000 series micro-oxygenation system ranges from 3-5 outputs, with each output having its own microprocessor, allowing each tank to be controlled independently. 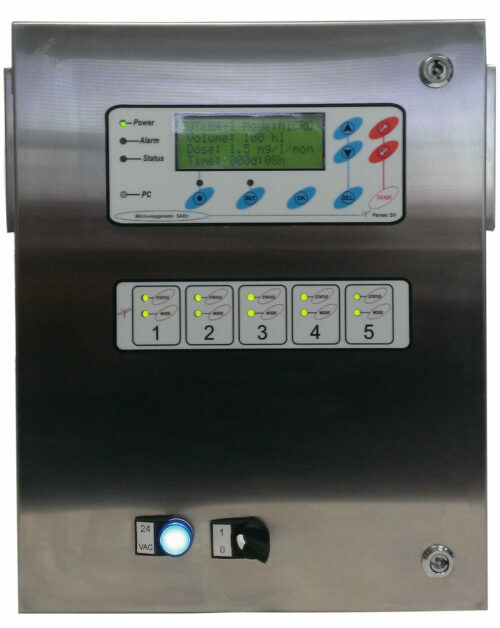 Automatic error detection, time-controlled dosing, fully digital, with an easy-to-use display are just a few of its features. Parsec’s SAEn 4000 P1 and P2 Portable Units are perfect for barrels and tanks. Both have single and dual outputs, perfect for small or large volumes from 10 to 500 hectolitres and both feature Parsec’s fully digital, easy to use display. The Parsec SAEn 5000 series micro-oxygenation system is a system that is easy to install with remote dosing units on each tank, or satellite remote units for groups of tanks – eliminating multiple tubes and wires. It’s a fully expandable integrated system that is ideal for larger tank farms. The Siprem International Crusher/Destemmer is a versatile system that allows you to crush and destem, crush only or just destem only, without any significant equipment change. Models perform from 5 tons per hour up to 100 tons per hour. 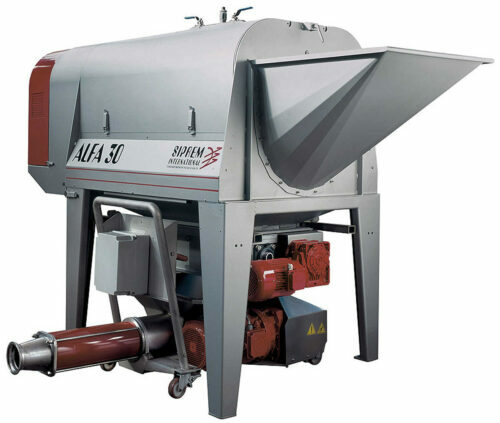 ATP is the exclusive American representative for a variety of presses and crusher-destemmers from Siprem International. 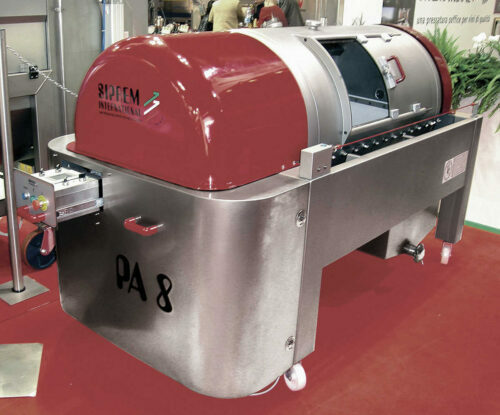 Siprem’s PA Vacuum Press, with its patented “vacuum system,” extracts must or wine of a much higher quality than is achievable using traditional systems. The Siprem PCM Continuous Membrane Press provides unsurpassable performance made possible by the revolutionary system of continuous operation. Unbeatable productivity/quality yield ratio with models ranging from 10 tons per hour up to 45 tons per hour. Siprem’s Pneumatic Presses provide reliability, versatile use and simple operation through all processing phases controlled by PLC.